Five artists with distinct approaches to their artwork will be featured in “Standpoints: Contemporary Landscape,” an exhibition set to open Monday, Oct. 29, in Missouri Southern State University’s Spiva Art Gallery. Each of the artists will also offer presentations about their work in a symposium set for Nov. 5-8. “Standpoints” will introduce viewers to a broad conception of the genre by artists Robert Bubp, an associate professor of foundation, painting and drawing at Wichita State University in Wichita, Kan.; Carl Judson, a Livermore, Colo., artist who paints plein air in oils and acrylics; Armin Mühsam, a professor of painting at Northwest Missouri State University in Maryville, Mo. ; Kristin Musgnug, a professor of painting at the University of Arkansas in Fayetteville, Ark. ; and Scott Gellatly, a landscape painter from Portland, Ore., and product manager for Gamblin Artist Colors. Works featured in the exhibition will include plein air paintings, conceptual mapping projects and visual reflections on cultural conceptions of “nature.” As disparate as these artistic practices are, they all touch on the ways humans interact with the terrains they inhabit. Artists reception: 4 to 6 p.m., Spiva Gallery. Artists presentation and panel discussion, 9 a.m. to 12:30 p.m., North End Zone Facility’s Academic Room. Color and the Artist’s Palette, 3:30 to 5 p.m., Fine Arts Building, Room 202. The lecture will feature Scott Gellatly. 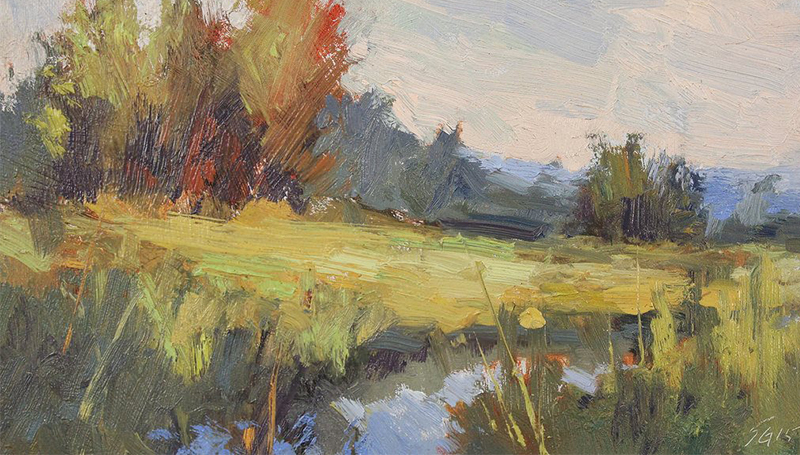 Informal Plein Air Painting with Carl Judson, 3:30 to 6 p.m., location TBA. Call for details. “Paint Outside the Box – Personal Style in Plein Air,” by Carl Judson, 9 to 11 a.m., North End Zone Facility’s Alumni Room. “Standpoints” will remain on display through Nov. 16. Gallery hours are 9 a.m. to 5 p.m. Monday through Friday. Admission to the exhibit and symposium events are free and open to the public. For more information, contact Kyle McKenzie, assistant professor of painting at Missouri Southern, at mckenzie-k@mssu.edu.